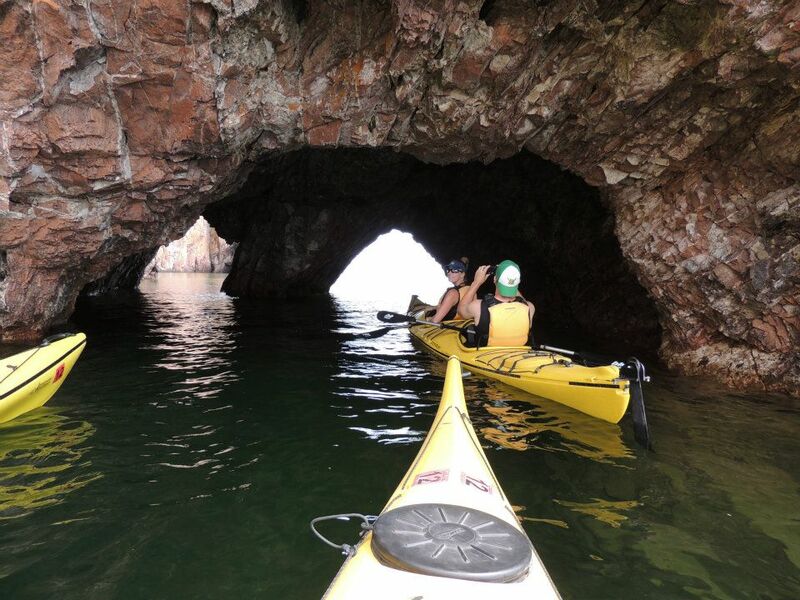 Lake Superior is an inland sea and an amazing place to kayak, but you better be ready for it. The water is always cold and the wind and weather have a huge effect on the lake. We have seen it go from being completely calm to 2 ft. waves quicker than we thought was possible and we have seen waves coming from multiple directions at the same time. Things can change quickly and you have to be prepared and able to deal with the unexpected. If you are not prepared to do a cold water rescue, go on a guided trip, or visit one of the inland lakes. 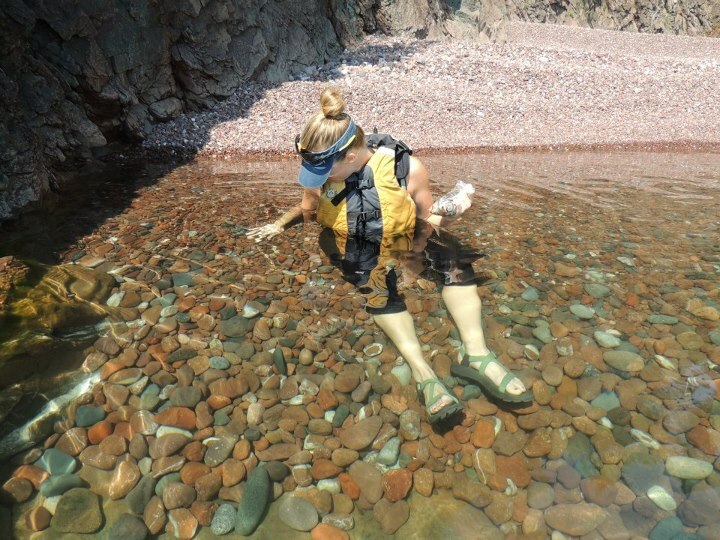 If you do have the experience and skills to be out on the lake, check out the area around Shovel Point/Palisade Head and Split Rock Lighthouse. You won’t believe that you are in the Midwest and a thousand miles from the ocean. These are amazing areas. Both of these places offer huge cliffs, rugged shoreline, sea caves and arches, beaches at the mouth of the rivers, and little development. The put-ins are at the State Parks, and Tettegouche has a long carry down to the mouth of the Baptism River but also has the closest access to the Shovel Point area. 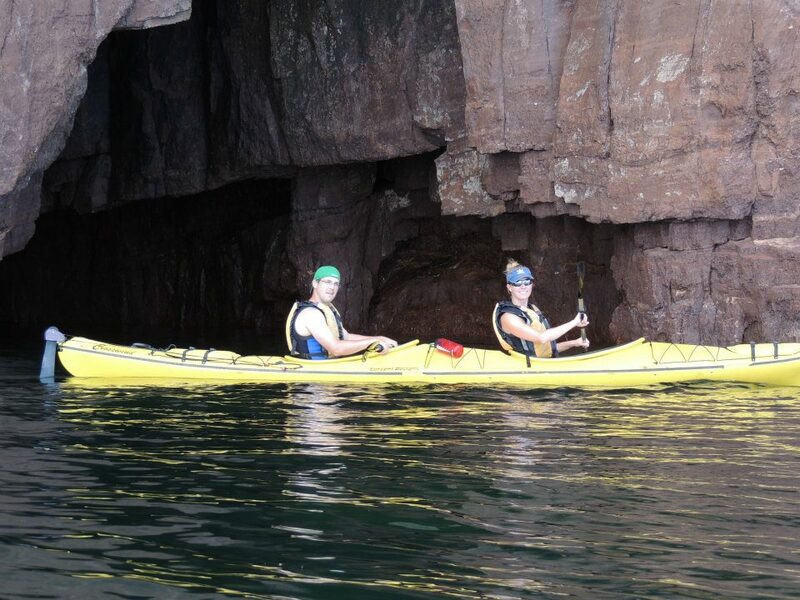 If the lake allows you to go around Shovel Point, then head to the next bay for a great beach and sea cave. The inland lakes in the area offer some great paddling without the risk and dangers that Lake Superior brings. Brule Lake is a huge lake and has miles of shore to explore in a sea kayak and is highly recommended. Get a map and know how to use it before you go out because this is a big lake with lots of bays and islands. Overnight trips without portaging are an option as well, but you will need a BWCA permit.